I met Mardi Michels on a rainy afternoon, about 5 years ago. The Food Revolution Toronto team was meeting at a coffee shop downtown and it was my very first meeting. With my youngest daughter in tow, our little crew gathered around and chatted about our dreams for introducing as many people as possible to cooking and experiencing real food. We had big dreams. 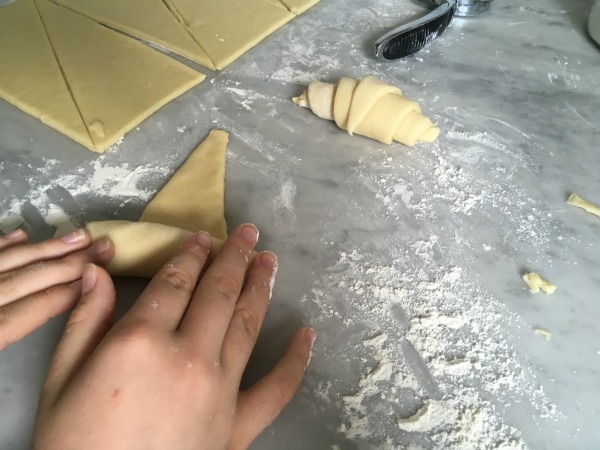 Fast forward to this afternoon and that same daughter and I cracked open Mardi’s first cookbook, In the French Kitchen with Kids, and had a go at making homemade croissants…something I have never even dreamed about attempting to make. That feeling of “I could never make that” is exactly what In the French Kitchen with Kids sets out to erase from readers’ mind. 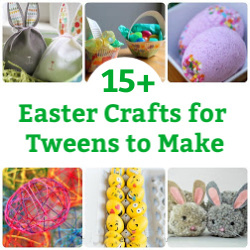 Yes, you can make it and more importantly, you can make it with your kids. I sat down with this beautifully photographed cookbook the other night and read it cover to cover. I wanted to take it all in. Mardi Michels is an elementary school teacher in Toronto, where she teaches French in an all boys school. Mardi also runs an after school club – a cooking club for students. The cooking club is held in the science lab…yep, no fancy equipment to be found. Over the years, her students have created some pretty impressive dishes – check out her Instagram feed for the pictoral evidence. Mardi knows how to make cooking less intimidating, especially for children and adults who are new cooks. 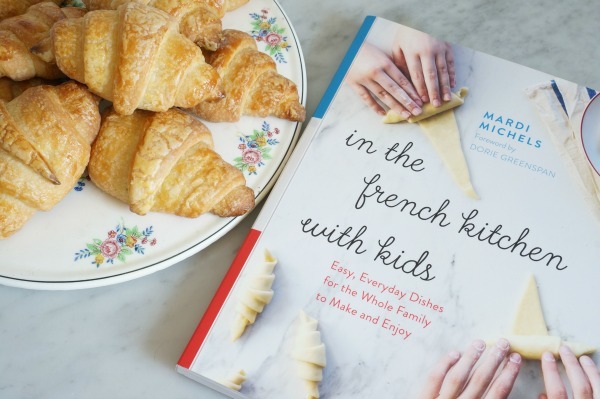 In the French Kitchen With Kids picks up on her easy approach to baking and cooking. 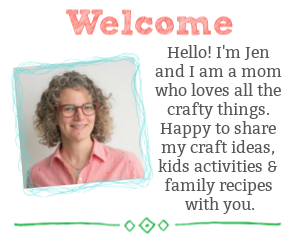 The tips she provides will help any parent or caregiver to guide their child and create amazing dishes at home. 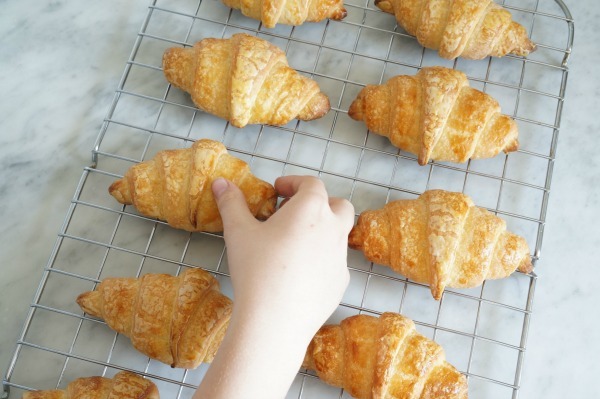 So, how did our croissant baking experience go? Yes, it took some time to make these croissants, but Mardi sets out these super helpful “suggested timelines” in the cookbook. 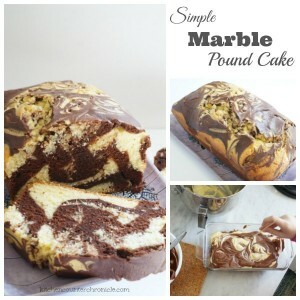 We made the dough one day and baked them up the next. The dough was perfectly resilient and rolled out beautifully. When it was time to measure and cut we brought out the big ruler I use for quilting. My daughter is a bit of a perfectionist – so getting the measurements exactly correct was very important. 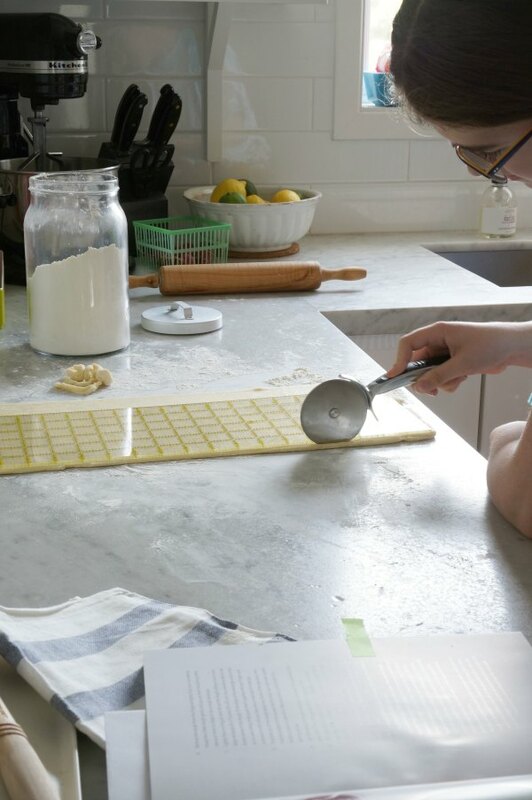 Note: these recipes will have your kids doing math…and enjoying doing math…added bonus of baking with kids. 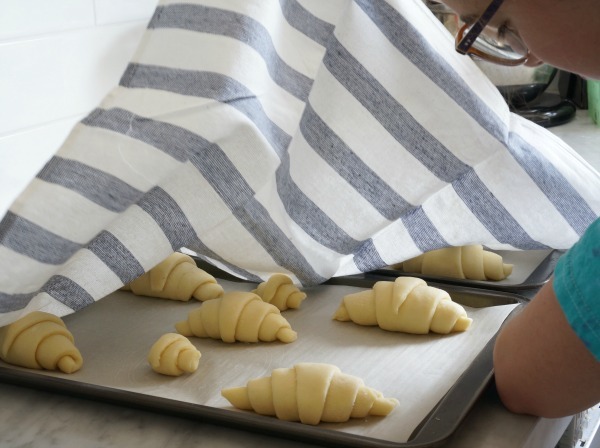 Once we had the croissants measured, cut, rolled and rested it was time to bake. They were well worth the wait. A lovely flaky shell and a fluffy soft inside. Our croissants went perfectly with the sour cherry compote we made. 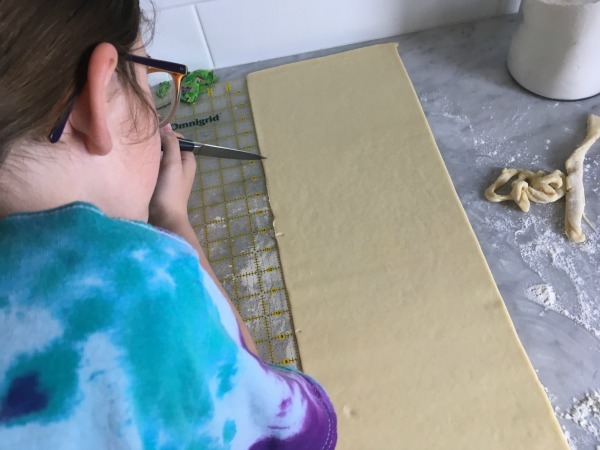 We are already planning the next recipe we want to make – the pains au chocolat. I seriously didn’t know how simple it could be to make our own croissants. 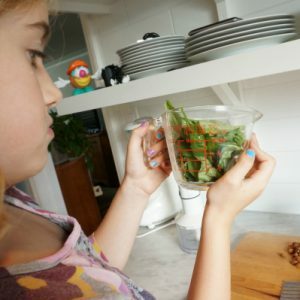 This is the magic of In the French Kitchen With Kids, recipes that are seemingly difficult are made approachable. Yes, this cookbook is great for kids, but I have to say it is great for adults who want to learn how to make French recipes, as well. When I met Mardi all those years ago, and we were plotting how we could spread the love of cooking with as many people as possible. 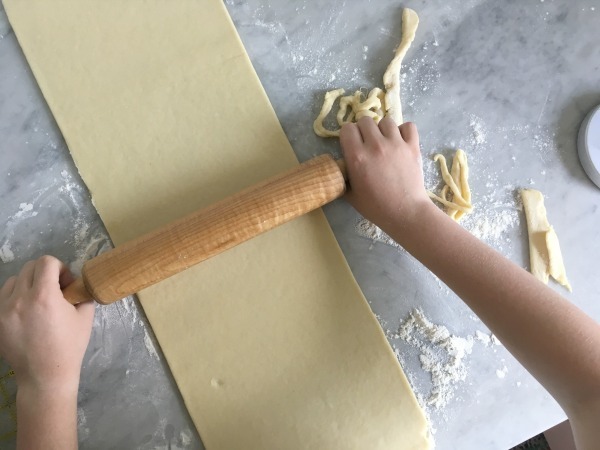 In the French Kitchen with Kids is doing just that. It will make a lovely addition to any cookbook collection. 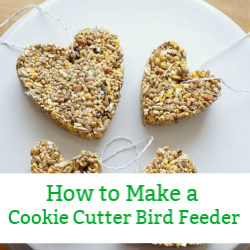 Wait until you see what your kids can bake! 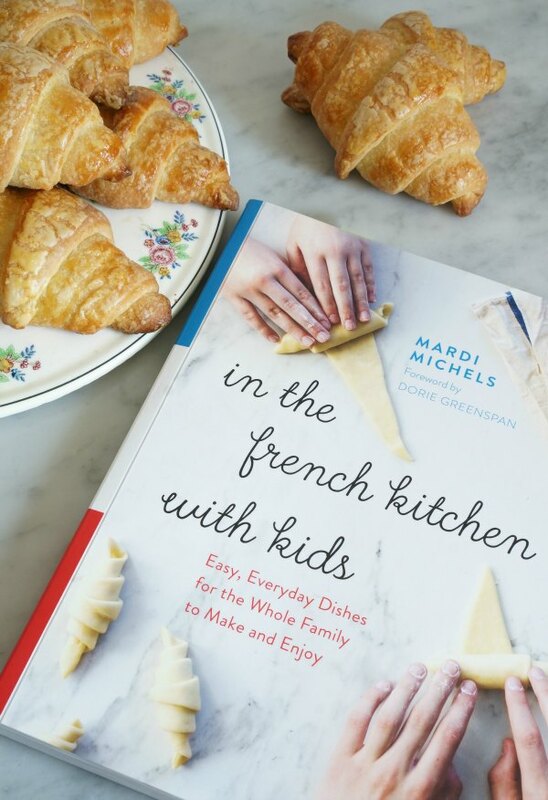 THANK YOU so much for this generous review of In the French kitchen with kids – you TOTALLY get the premise behind the book 🙂 I hope you and your family have a lot of fun cooking your way through it!